Let me grab this opportunity to thank the people who have given me these wonderful awards. Yes, I will admit that I am guilty of procrastinating myself. So with no further ado, let me start with the Sunshine Award I have received from Freddie and Gloria, Poppy aka Popcorn, and Pixel Blue Eyes. Tutu, Bernie, Whisky and the entire crew- They're cute, they're silly, they're composed of a dog, some cats, an amazing tripod bunny and two guinea pigs living in Malaysia. Zoe - The dog of many water adventures. She's currently known for her floor skating. Indy and Bogey - You probably know them through Pat, an amazing writer. Sampson, Daisy Boo, Dante - They've been currently a bit busy to post in bloggerville but these three stooges can make you laugh so hard. Just check out Sampson's silly antics. Tegan - She may not talk about her dogs the way we do, but if you want some serious advice about raising and training dogs, this is the place to go to. White Dog Army - Read about Siku's adventures and inspirational posts while living with her army of Eskies (Quinn, Puff, Nuka, YoYoMa, and the newest member of their family Oso). Magic (Real Name: Silversocks Sharade)- The first thing that caught my attention was the Gaelic names of Caoimhe and Aoife (pronounces as Kee-va and Ee-fa). But then you meet wonderful Magic (and her mums Leigh and Judith) and the affenpinchers... and the chickens. Stewey - Aside from being a cute Corgie, Stewey has a sense of style. Every dress-up post has a teaser picture that keeps us bloggers guessing. Favorite pattern: I'm a checkers person. But I can go with plain monochromatic hues. Favorite Day of the Week: Friday, there's no question there. Favorite Flower: Lotus, because I was named after it. I would like to thank DogsNPawz for this latest Liebster Award. I will be forwarding it only to two other blogs because I've already named 10 ^^. Twinkletoe Tails - The amazing blog of Oui Oui and their mom-made beautiful kitty avatars. 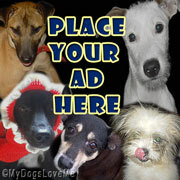 Urbanhounds - Enjoy their urban adventures in the city. The newest member of their family is an adorable puggy named after Harry Potter's best friend, Weasley. Congratulations on your awards! Have a good Sunday! Congratulations and have a great Sunday! Congrats on your very well deserved awards! 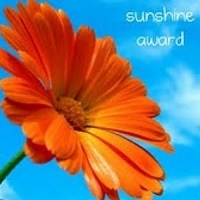 Wowee, congratulations on your awards, and even though I have received the Sunshine Award before, I thank you for thinking of me and sharing with me. I am so honored. I love the answers to your questions. Indy and Bogey send their thanks for the award. In order to really live up to the name, they're both currently napping in separate (but equal) patches of sunlight on the floor! Congrats on your lovely awards - very nice sharing too:) We like the number 13 too. Concats on your award! And thank you so much for awarding us one of them! We are honored you would think of us. We'll post about it tomorrow. Many Thanks! Purrs! Congratulations on your two awards! They are very nice and much deserved! Like your answers! The lotus is a beautiful and mysterious flower, and that is cool you were named after it! Such lovely awards and you are so deserving! Thank you so much for sharing the Sunshine Award with the White Dog Army. You described our blog in such a kind way. We enjoyed your answers and feel we know a bit more about you now...we especially liked knowing you were named after the lotus blossom. I was named after the Eskimo indian word for "Ice." We will do a special sunshine post. Thank you so much for the award. I need to get caught up on these myself. Congrats to everyone on their award! THANK YOU!!! Your so awesome, and congrats to you too. we never knew your name meant Lotus!